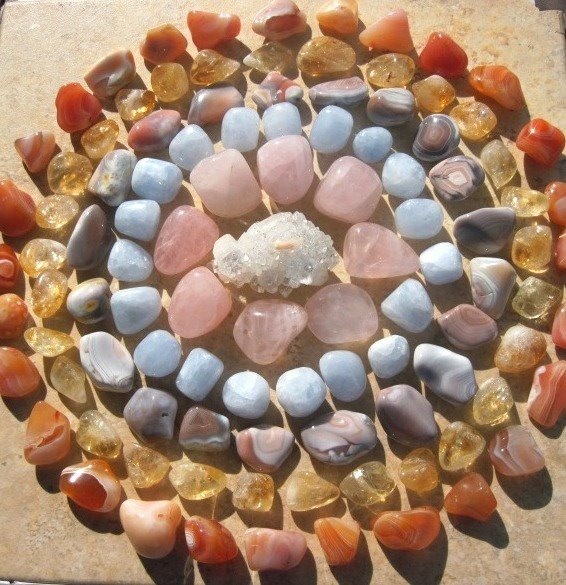 Crystal Healing is a very powerful form of Healing. Mother Earth and Nature, has given us these very powerful conductors of energy, so we can heal on a mental, emotional, physical, and spiritual level. There are many different forms of crystals. There are many colours and also many uses for them. When doing a crystal healing, the client is fully clothed. After a full consultation it is decided what crystals are to be used. As an advanced Crystal Healer I can use many techniques to remove blockages in the physical body, speed up the recovery process from surgery, help with the symptoms of IBS, Period pain, arthritis and many more ailments. On a mental / emotional level, anxiety, stress, headaches and migraines can be helped. While having sessions of crystal healings, it may become apparent to the client, what direction they should be taking with their lives, so spiritually the sessions or healings can be of great benefit to you if you are at a crossroads in your life. While using the help of the Crystal Devas during a healing session I also channel the powerful healing energies of Reiki.